Leverage our free team building games and activities to improve team member's sense of purpose and pride in what they do. 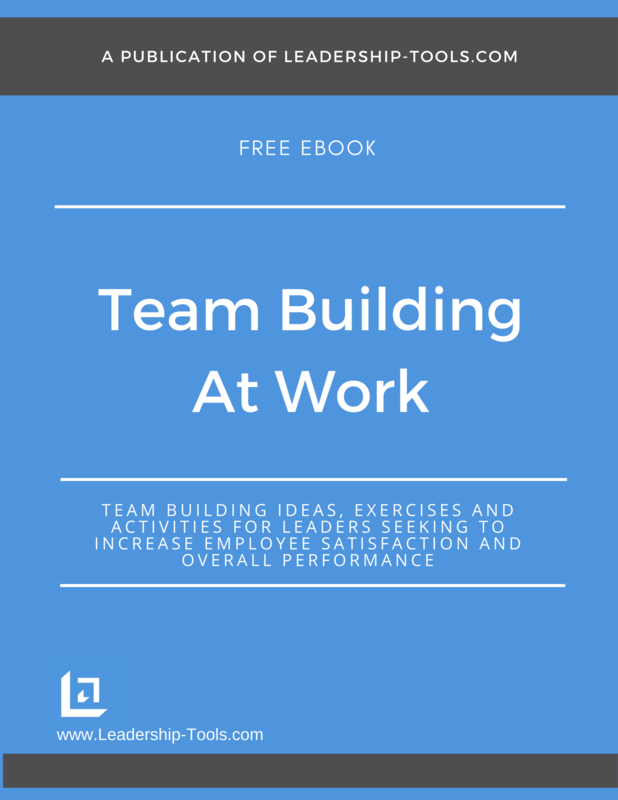 Using the exercises in our free eBook, Team Building At Work, leaders can build stronger connections among their team, and improve overall results in the process. Great leaders understand that creating a sense of purpose and pride among team members is a major ingredient for a winning team. They are constantly on the lookout for ways to harness and cultivate team pride in order to create a culture and tradition of success. Our need to feel that we have an important purpose and that we add value to the world is a universal basic human need. 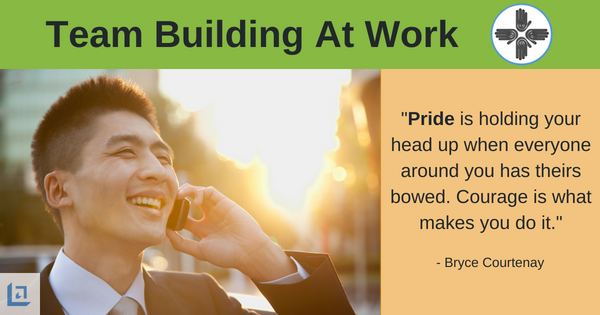 One of the best ways to promote purpose and pride in your team is to recognize key individuals who are raising the bar and making key contributions to the team. Our free team building games can help you make the most of these opportunities. "Pride represents a personal commitment. It is an attitude which separates those who achieve excellence from those who accept mediocrity." The late Og Mandino once said, "I am here for a purpose and that purpose is to grow into a mountain, not to shrink to a grain of sand. Henceforth will I apply all my efforts to become the highest mountain of all and I will strain my potential until it cries for mercy." Most Improved - awarded to the team member who has demonstrated an exceptional work ethic and has achieved incremental improvement in his or her key role. Most Inspirational - awarded to the team member who has inspired the team, the department, the organization or the community. Most Spirited - awarded to the team member who is an exceptionally positive force on the team. This person always arrives to work with a smile on her face, willing to lend a helping hand to anyone in need. Top Performer - awarded to those top performers who are driving the team sales and service results, setting the bar to achieve top performance on a consistent basis. The possible award categories are endless and can include key elements of your business. Awards may also be considered for key contributing partners either inside or outside the organization. 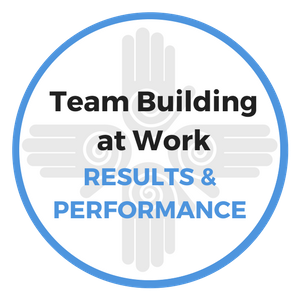 Reward and recognition of any kind can be a driving force for your team, use our free team building games for additional ideas on how you can continually improve the skills of your team members and increase performance. Purpose: To lead your team in creating a team slogan or "battle cry" that inspires a vision of unity and teamwork. This workshop is focused on getting people to visualize themselves as a lean and mean TEAM-machine! A team working together, maximizing their talents and achieving outstanding results. This is one of our most popular free team building games. Explanation: Anyone in marketing knows that a slogan or catch phrase can be extremely important to a company's success. For instance, when you hear the phrase "Just Do It", you think of athletes who are winners and associate that good feeling with Nike. When you hear "Quality is Job #1", you immediately think of a quality automobile that is tough and American made and you associate that with Ford. Why not take this proven marketing technique and apply it to your own team? Think about how the perfect catch phrase or slogan could quickly benefit your team. What is your team all about? Even more importantly, how would your team like to be defined? Whatever key words or phrases your team chooses, help them to identify their slogan in no more than 5 words. Here is a real example of how one team created their TEAM BATTLE CRY. In this team building game, the group consisted of a region manager and five district managers that had 20 direct reports, so about 200 employees in the entire region. "Our Winning Way: Everyone, Everyday!" By leading your team through the process of defining what they want to stand for, and creating a team slogan that they can be proud of, you are helping the team to create a stronger sense of purpose and identify. This is a pretty cool result coming directly from simple free team building games and activities, so take the time to plan ahead of time to ensure your team comes up with a great outcome. So, what is your team's purpose? How does the team define itself? Have fun finding out using our free team building games and exercises. Purpose: This lesson is focused on getting people to think in terms of leadership. Create increased purpose and pride in your team by empowering them with clearly defined leadership expectations. When helping a co-worker or a customer, employees must understand their role as a leader. Like many who come from a small town, I was amazed at the number of homeless transients who made their home on the campus of the university I attended. At first, the idea of having to walk past these individuals was a bit scary. I was not accustomed to being solicited for money or "spare change". However, after a few weeks of walking to class and regularly being asked for "a quarter for a cup of coffee", the experience quickly became fairly routine. In fact, after a while, if I didn't see one of the regular panhandlers for a period of time, I would wonder where he was keeping himself. After a brief period, the transients became a small part of my environment; part of my daily experience of college life. Over time I got to know some of them by name. One of the most notable transients was a man who went by the name, Uncle Ben. Uncle Ben could often be seen dragging a short rope behind him as he walked down the street. Uncle Ben would look back at the end of the rope as he walked, and say - "come on now, keep up." One might think by watching Uncle Ben that he was delusional and under the assumption that he had a dog tied to the end of his rope. Very often someone would witness this behavior as Uncle Ben approached, and they would ask simply, "Why are you pulling that rope?" "You can't give people pride, but you can help to create an environment that makes people realize we are all better together than standing all alone." Again, very often someone would witness the behavior as Uncle Ben approached, and they would ask, "Why are you pulling that rope?" Uncle Ben would quickly reply, "Well have you ever tried PUSHING a rope, it doesn't work very well." This always made Uncle Ben holler in laughter as he kept walking past the person who inquired. You have to give Uncle Ben credit. Indeed, you can't push a rope very effectively. In conclusion, make this strong point to your team: By "pulling" the rope, it will follow you anywhere. Try to "push" it, and the rope actually resists you and goes nowhere at all. The same can be said for the art of leadership and teamwork. Leadership is the ability to make your people want to follow you. They do that when they see that you are willing to work alongside them and take a vested interest in their success. People will follow you if they feel you know where you are taking them. If they feel you have integrity and truly care about their success. We must each pull our co-workers along with us. We must pull our customers toward us. Otherwise, we run the risk of pushing them away. Meaningful stories like this one can serve as free team building games and exercises that provide valuable insights to your team. After you've told your story, make a game out of it by challenging your team members to submit their own story that also provides a meaningful leadership lesson. At your next team meeting ask folks to share their stories and provide recognition to those who participate. Leaders can easily use free team building games such as Jeopardy, Concentration, Hang Man, Family Feud or others to create a fun training environment. Jeopardy is one of our free team building games that is provided in more detail here. To download our Team Building At Work eBook, providing free team building games, strategies, ideas and exercises, simply subscribe to our free newsletter. You will immediately receive a password that grants access to our entire leadership tools library.